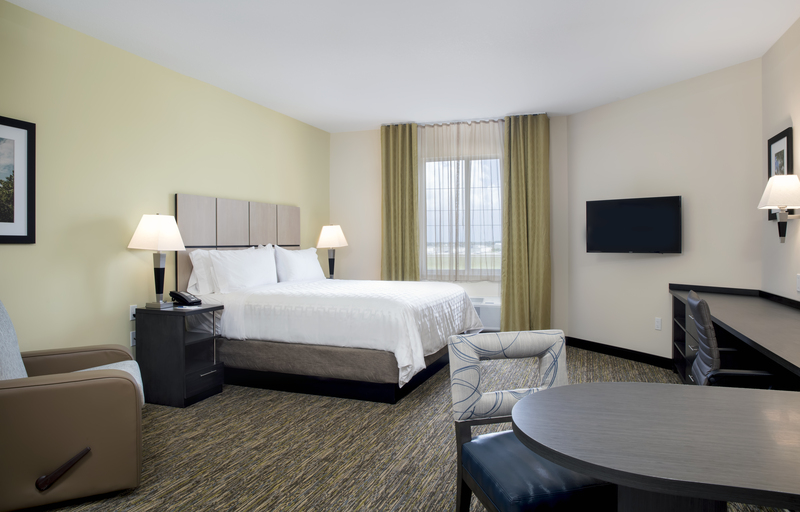 Book your stay in one of our Kendall, FL hotel rooms to enjoy a restful night’s stay at an affordable rate! 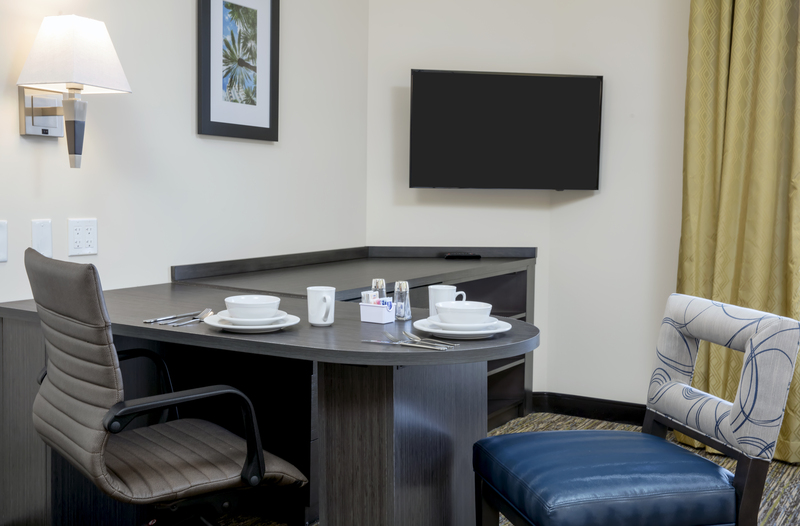 Our Kendall, FL lodging provides guests with spacious accommodations that are ideal for an extended-stay visit to the greater Miami area, and our close proximity to the Miami Executive Airport ensures guests can easily access transportation throughout their stay. Choose from our wide variety of suites to perfectly accommodate your next getaway. 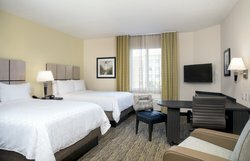 Our Studio King Suite is ideal for business travelers visiting the area, while our Two Queen Bed Suite is perfect for a group getaway. Ideal for guests looking to enjoy a long-term stay in the area, each of our Kendall, FL lodgings have a fully-equipped kitchenette or kitchen, including pots, pans, and plates. 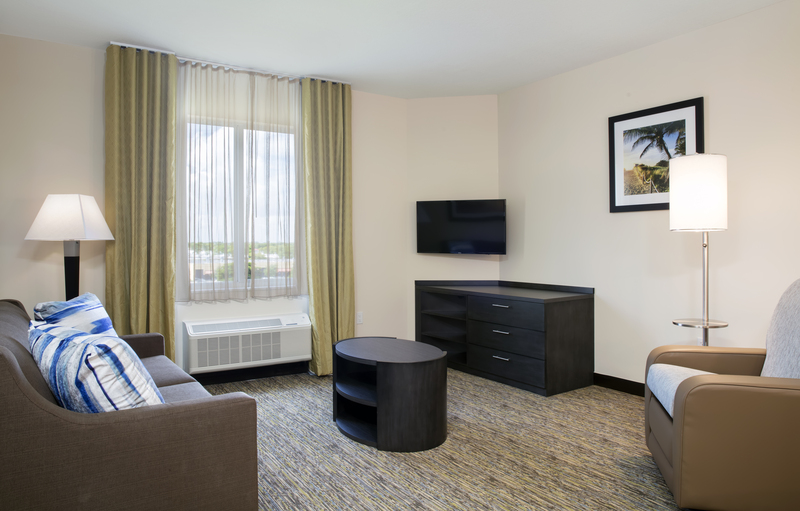 Additionally, each room features in-room amenities like flat-screen TVs, desks, microwaves, and more. Need to be productive and get some work done? We're ready for business travelers! 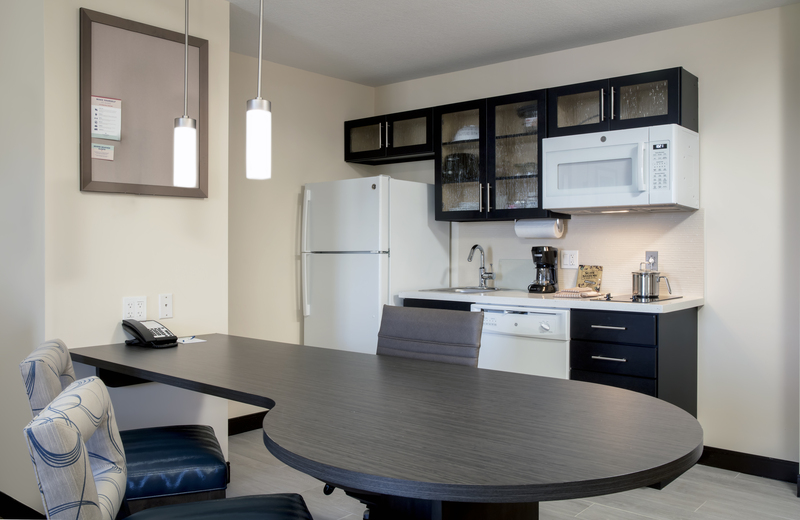 All of our rooms have space to sit down and focus on your work. 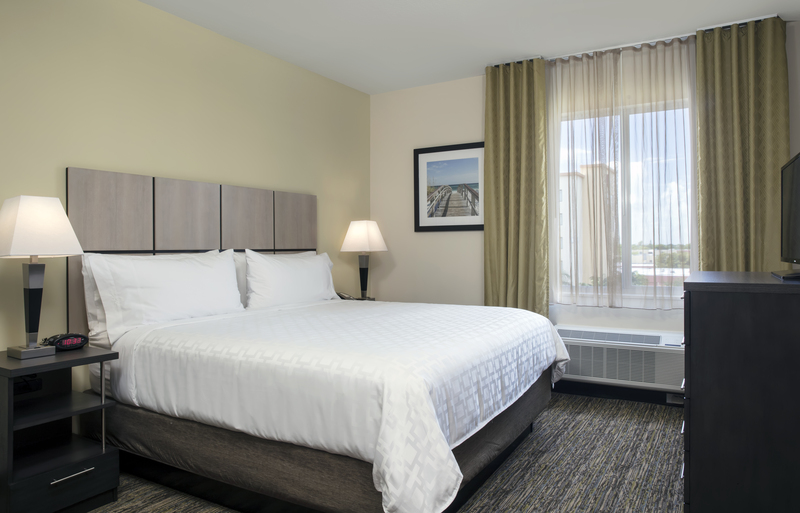 Our hotel offers a number of on-site amenities that allow each guest to relax and unwind throughout their stay. Enjoy warm Florida evenings in our outdoor gazebos with barbecues, or take a dip in our outdoor pool! 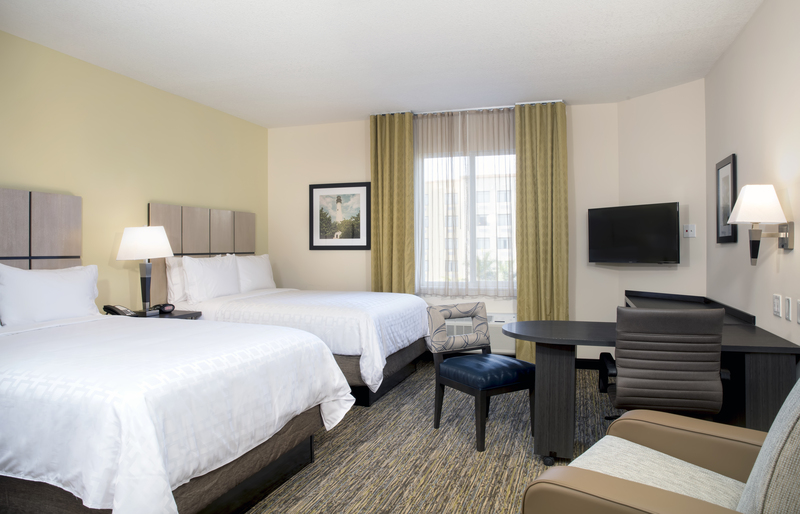 Reserve one of our Kendall, FL hotel rooms or book a group room block today! 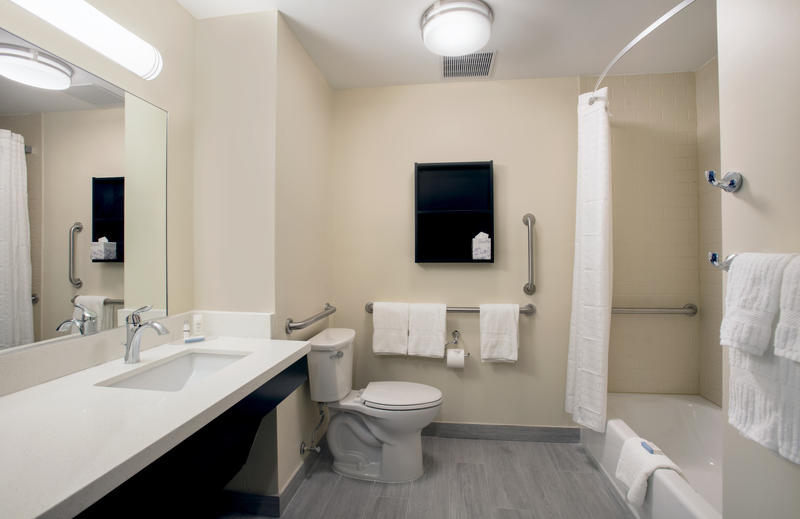 Our largest accessible hotel room in Kendall, FL: the luxurious one bedroom suites, including an accessible raised toilet with grab bars and safety seat, as well as a roll-in shower, lowered viewport counter and towel rack. You'll truly feel like you're at home. The suites are built for an extended stay, with an open-concept living, dining, and kitchen area, in addition to a large, private bedroom. 1 bedroom suite with 1 king bed. Large living room space with a queen sofa bed. Fully equpied kitchen for all your cooking needs. Free high speed wired and wireless internet. Bluetooth entry doors. 42 inch flat screen HDTV inside of the bedroom and 32inch flat screen HDTV in the living room. 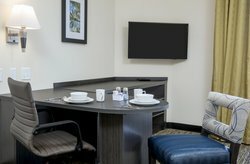 In room recliner, large work desk and comforts of home bedding collection so you may relax and unwind in the comfort of this spacious suite. Everything you need in a hotel room and more! 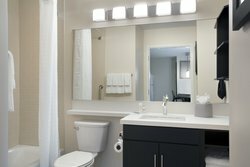 Focus and get some work done at desk, cook a meal in the kitchen, sleep in the comfortable king bed, and get ready for the next day in the four piece bathroom. Studio 1 king bed. Fully equpied kitchen for all your cooking needs. Free high speed wired and wireless internet. Bluetooth entry doors. 42 inch flat screen HDTV In room recliner, large work desk and comforts of home bedding collection so you may relax and unwind in the comfort of this spacious suite. 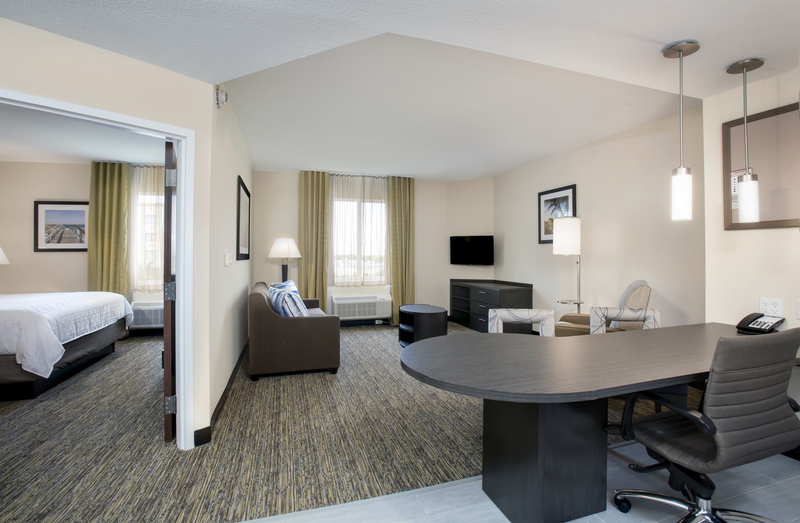 Our largest accomodations: the luxurious one bedroom suites, where you'll truly feel like you're at home. The suites are built for an extended stay, with an open-concept living, dining, and kitchen area, in addition to a large, private bedroom. Your whole group has the space they need in this two-bed studio! 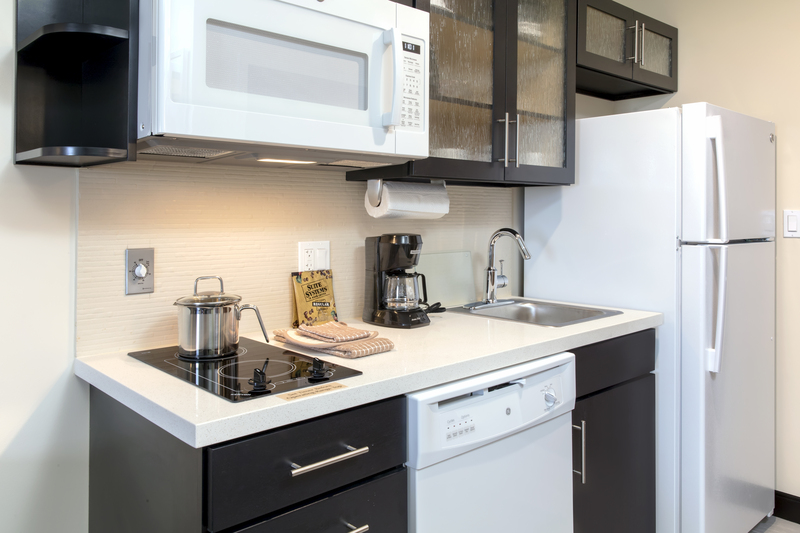 With plenty of room for storage, and ample counter space, everyone can unwind in this apartment-style suite. The full kitchen is perfect for cooking for a group. Studio with 2 Queen Beds. Fully equpied kitchen for all your cooking needs. Free high speed wired and wireless internet. Bluetooth entry doors. 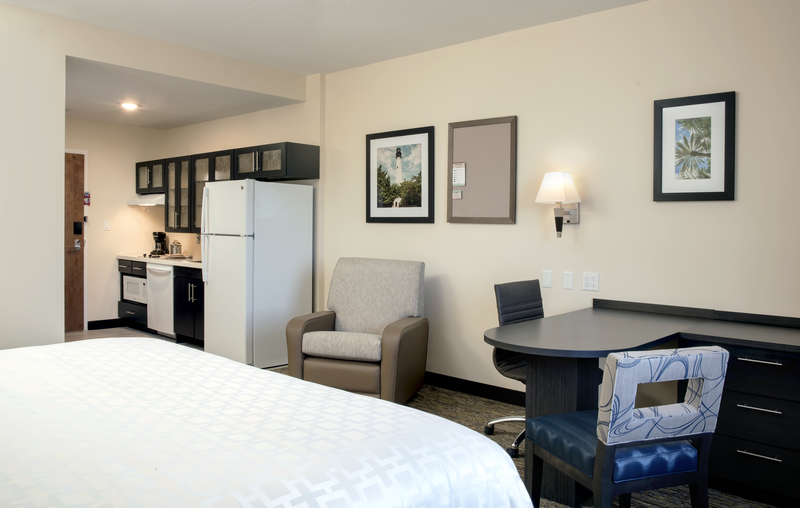 42 inch flat screen HDTV In room recliner, large work desk and comforts of home bedding collection so you may relax and unwind in the comfort of this spacious suite. Your whole group has the space they need in this heairng and mobility accessible two-bed studio! 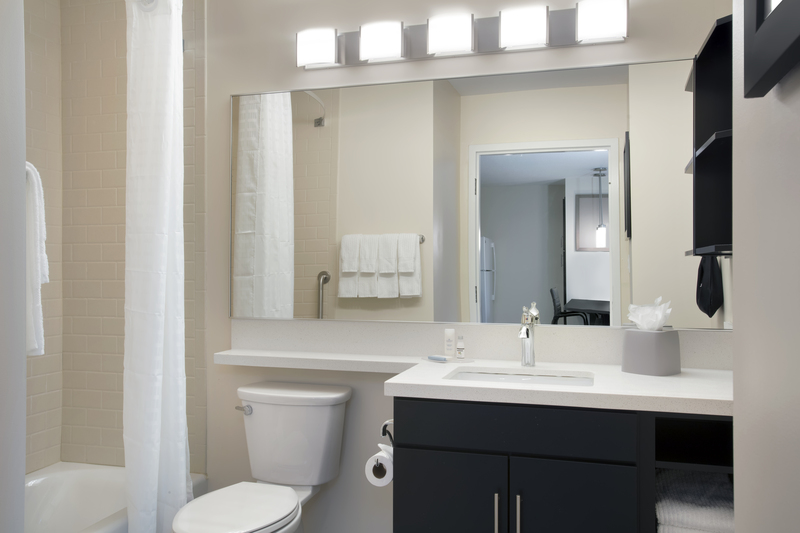 With plenty of room for storage, and ample counter space, everyone can unwind in this apartment-style suite. 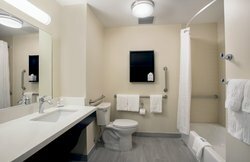 This suite includes an accessible raised toilet with grab bars and safety seat, as well as lowererd view port counter and towel rack. Your whole group has the space they need in this hearing accessible two-bed studio! 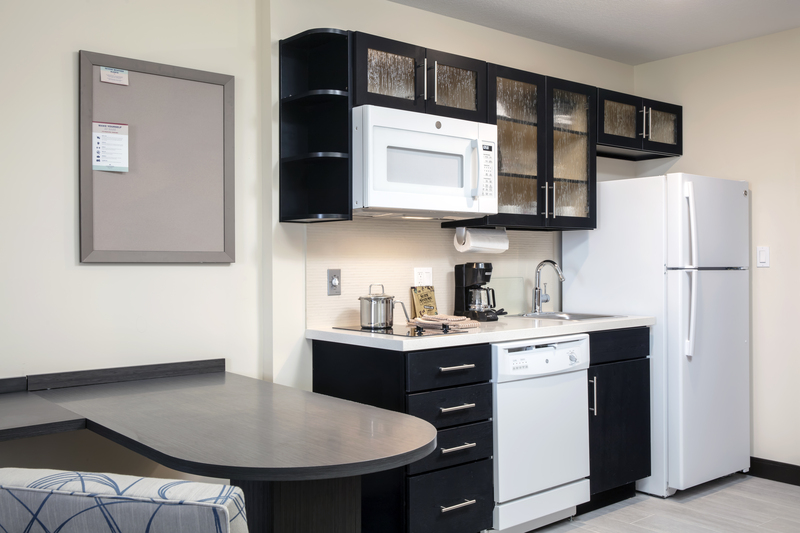 With plenty of room for storage, and ample counter space, everyone can unwind in this apartment-style suite. 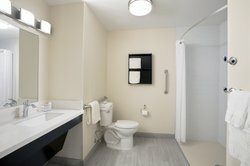 Hearing accessible king studio suite with everything you need in a hotel room and more! Focus and get some work done at the work space, cook a meal in the kitchen, and then sleep it all off for the next day!